Why let a river come between your company and a great holiday party? Brooklyn Winery is basically right down the street. With travel time around half an hour from most Manhattan neighborhoods, we are as accessible as all New York holiday favorites. 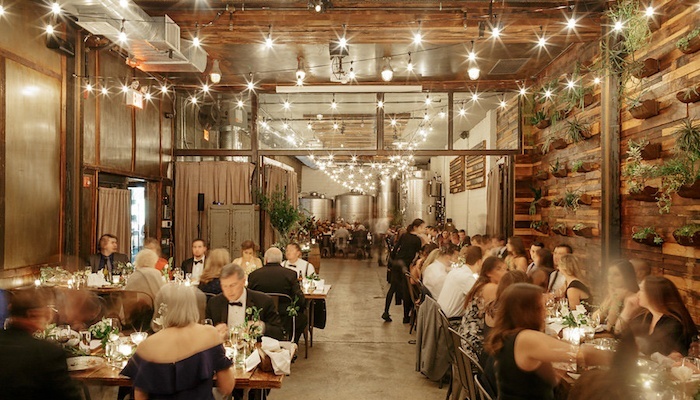 While we all love Manhattan, the time has officially come to consider Brooklyn as a serious contender when it comes to hosting holiday parties. 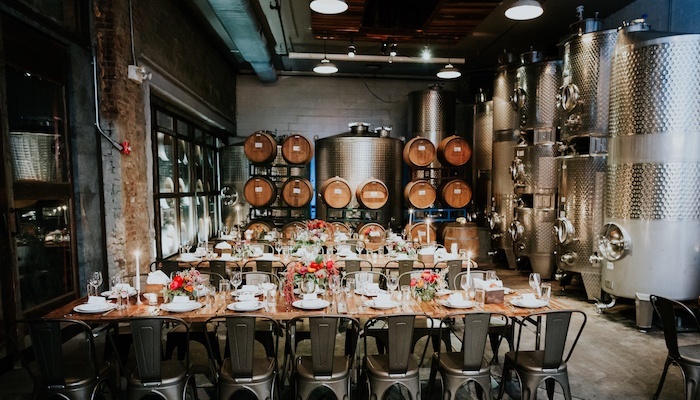 For employees working hard from 9-5 (or 8am ‘til whenever o’clock…), the chance to escape the city grind and slow down at Brooklyn Winery in Williamsburg is quick and easy. We offer an upscale venue, delicious food, and abundant wine. Our urban winery and variety of spaces provide an ideal environment to celebrate the holidays with colleagues and friends. From small gatherings of 20 to company-wide celebrations of 300, our variety of spaces and options provide the perfect setting for your holiday gathering. All catering is executed in-house and features our unique take on New American cuisine. 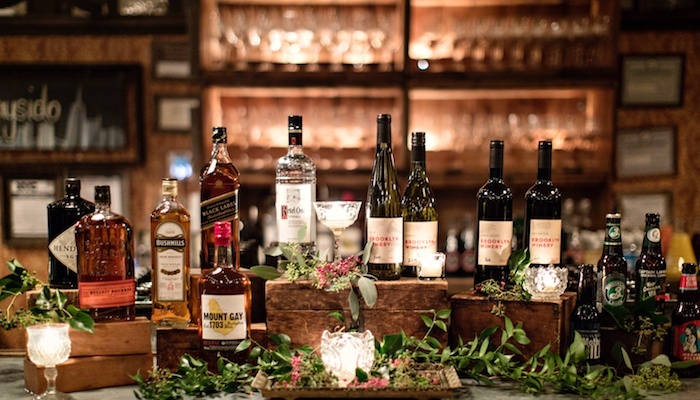 We offer a number of packages that include a cocktail hour, a seated or roaming dinner service, and open bar highlighting Brooklyn Winery wines and a premium cocktail bar. To celebrate the special season, we also offer a number of festive menu enhancements. As always, we take care of the details. 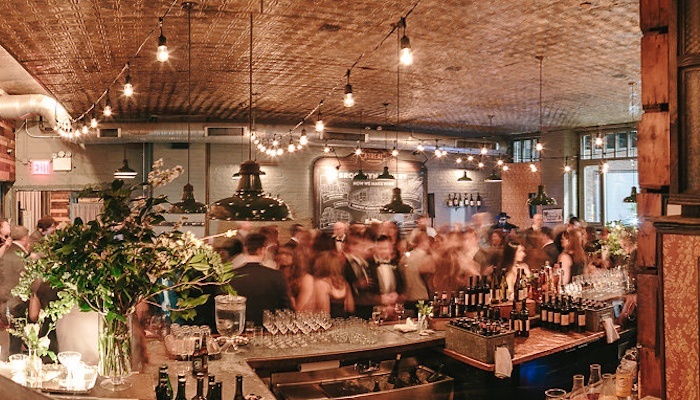 Our dramatic backdrop features 16 to 25-foot ceilings, reclaimed wood paneling, wine barrel cocktail tables, and vintage lighting. We are committed to creating the best experience possible for you and your guests; all staff members are highly-trained service industry professionals who work full time at our establishment. So cheers to the year’s end with a memorable holiday party on our side of the river!